In Illinois, eye protection and a rearview mirror are required by the state for all motorcycle drivers. Unfortunately, when one visits the Illinois Department of Transportation website to look for required equipment, helmets are not listed. Despite the fact that helmets are known to reduce injuries and deaths among motorcycle drivers and their passengers, the state of Illinois does not have a universal helmet law for motorcycle riders. In fact, Illinois is known as a 100% helmet free state. There were attempts in 2010 in the Illinois Senate to pass laws requiring riders and passengers to wear helmets. The law would have provided for riders 26 years old and younger to wear helmets, but it was not passed. Opponents call the advocates of helmet laws "safety nannies." 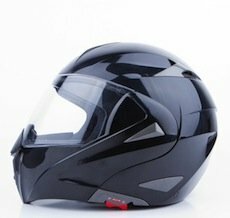 The federal Centers for Disease Control conducted a two-year study about the effects of not wearing a helmet when driving a motorcycle and found that states that did not have universal helmet laws were much more likely to record much higher fatalities among motorcyclists. In 2010, the CDC found that 4,502 motorcyclists (operators and passengers) were killed in motorcycle crashes. They made up 14% of all road traffic deaths, yet motorcycles accounted for less than 1% of all vehicle miles traveled. These statistics were provided from the National Highway Traffic Safety Administration. The NHTSA reported that, on average, 12% of fatally injured motorcyclists were not wearing helmets in states with universal helmet laws. That compares with 64% in partial helmet law states (laws that only required specific groups, usually young riders, to wear helmets) and 79% in states without any helmet requirement. In addition to keeping people safer and preventing injuries and deaths, there is also an economic benefit to wearing a helmet. By preventing motorcyclist deaths and protecting against injuries, helmet use also translates to economic costs saved. In 2010, approximately $3 billion was saved as a result of helmet use in the United States; however, another $1.4 billion could have been saved if all motorcyclists had worn helmets, according to the NHTSA. As of April 2012, 19 states and the District of Columbia had universal helmet laws, 28 states had partial helmet laws, and three states had no helmet law. Motorcycle helmet legislation in the United States has been marked by change, with cycles of helmet law enactments followed by periods of helmet law repeals. In the mid-1970s, 47 states and the District of Columbia had universal helmet laws, prompted in part by a 1967 federal requirement that states have such laws or lose a portion of their federal highway funds. In 1976, however, the U.S. Congress removed penalties for not having a universal helmet law, and states began to change or repeal their laws. By 1980, 20 states had changed their universal helmet laws to partial helmet laws and eight states had repealed their laws altogether. In 1991, Congress reintroduced financial penalties for states without universal helmet laws. Research has shown that when a state repeals its helmet law or opts for less restrictive requirements, helmet use decreases and motorcycle-related deaths, injuries, and costs increase. Riders who do not wear helmets are more likely to suffer traumatic brain injuries, and median hospital charges for those with traumatic brain injuries are 13 times higher than for those without such injuries. Riders who do not wear helmets also are less likely to have health insurance and are more likely to require publicly funded health care. The NHTSA also estimated that helmet use has prevented 37% of fatalities among motorcycle operators and 41% of fatalities among passengers nationwide. NHTSA estimates that in 2010, helmet use saved the lives of 1,544 motorcyclists, and an additional 709 lives might have been saved if all motorcyclists had worn helmets. With motorcycle ownership at an all-time high (8.2 million registered motorcycles in 2010, compared with 4.3 million in 2000), motorcycle-related deaths and their associated costs are expected to remain at high levels unless more effective protective measures are implemented. Kreisman Law Offices has handled motorcycle accidents for individuals in the Chicago area and in Illinois for more than 40 years. Robert Kreisman recently handled the case of a young father of four from the Chicago area who was killed while riding his motorcycle on an expressway. An automobile driver had swerved across several highway lanes so as not to miss his exit. The motorcyclist had no chance to avoid colliding with the car. His helmet did little to save him. Kreisman Law Offices obtained the full insurance policy limits for the decedent's family.